This is a photography blog, and today I’m going to address a critical concern for all photographers visiting Italy- driving. That’s right. It’s one thing to know your camera, but what good is that if you don’t arrive alive? So, if you want to live to photograph in Italy, you might want to read this. I’ve just spent over two weeks driving in Italy, along its Autostradas as well as along its winding, narrow streets, in large, grand cities like Florence, as well as tiny towns so small their names did not appear on my GPS system. I’m no expert, but then again that’s the point. If you’re not an expert and just want to drive in Italy, you need to know these things. I wish someone had told me these before I rented a car. First some observations. Not all Italian drivers are nuts, at least not more than Boston drivers would be if streets in Beantown were far narrower and laid out even zanier than they are now. But in the spirit of cars-don’t-kill-people, people-kill-people stupid sayings, it is about that minority of Italian drivers who might kill you that I will focus on. Mario Andretti. To Italians driving is like eating, something to be savored, a passion. They don’t just drive, they are consumed by it. When they get behind the wheel, they are Mario Andretti reincarnated. Accept it for what it is. Speed limits? Fuggedaboudit! I’m sure you have heard about this before, but when you drive on the Autostrada where posted speeds are 110-130 km/h (68-81 mph), Italian drivers view that as mere suggestions. I often drove at 130 and was passed by drivers doing a minimum of 175! Get used to it. Tailgating. Italian drivers give new meaning to the word tailgating. I would be driving at 130 kph, then merge left to pass a slower moving car, and before I could even get back into the right lane, a car would appear out of nowhere and be 6 inches off my bumper! Okay, that’s a bit of an exaggeration. Actually they were 6 millimeters away. Seriously. That’s not the worst of it. When they merge back to the right, they literally cut you off. I often had cars missing my front fender by so little, I was afraid they had neatly shaved the paint off. Lines. There is no such thing as an orderly line of cars in Italy. People do not alternate when merging. Often a car will rush at your car door at a merge, then come to a stop inches away and allow you to go first. Other times they will rush at your car door then swerve around you without stopping. We asked a man in Trapani, Sicily where to line up to board the ferry and he laughingly replied: “In Sicily there are no lines!” True to form, cars came from everywhere to board the ferry. It was complete chaos for ten minutes and then, somehow, it all straightened itself out. The Pluses. On the plus side, the Autostradas are a pleasure to drive; well-paved, modern and convenient. In more than two weeks of driving I never once saw a police presence on Autostradas. Toll booths are mostly automatic and you pay with cash or credit card, although none of the directions are in English and sometimes their Internet was down so you had to deal with a toll taker. Rest areas are well spaced and, interestingly, offer wine and beer. Best of all, Italians drive on the same side of the road as we do in North America. Reserve an Automatic. Reserve an automatic car in advance if you possibly can. Dealing with the traffic in cities (more on that later) is difficult enough, but doing so while shifting gears is taxing, to say the least. I rented a 6-gear Alfa Romeo, which was a terrific car, but I stalled twice in city traffic while drivers gave me imaginative lessons in how best to use one’s middle finger. Bring Anti-Anxiety meds. Don’t ask, just get a scrip from your doctor just in case. Why? Well, let’s say that you’re stupid enough to drive the Amalfi coast (alright, at least I won’t do it again! ), a drive that has sometimes been understatedly described as harrowing, you will drive along a winding, hair-pin curved, single-lane road that for some strange reason has two-way traffic on it (go figure). Tour bus after tour bus comes at you at twice the posted speed- I mean suggested speed- and misses your side view mirror by two inches. Ooops, another exaggeration, 2 millimeters. Where’s that bottle of meds when you need it? Here is a short video that my wife recorded as we drove the Amalfi coast. Tunnelphobia? If you have a fear of tunnels, do not drive in Sicily from Messina to Cefalu. That drive takes you through literally dozens and dozens of tunnels. On at least ten 5-km stretches of road, you are in tunnels more than 60% of the time, in some cases 75%. Some of the tunnels are old and narrow, so be forewarned. Most of the older tunnels are being replaced and the modern ones are terrific, with wide lanes and a breakdown lane and turn-outs to get your vehicle off-road in case of a mishap. Ferries. Many of Italy’s ferries are one-way load-unload boats. That means that you will either have to back in your car at the point of departure or back it out at the arrival port. Be prepared for that eventuality. Parking. You’re kidding, right? Good luck! City driving. Don’t if you can avoid it. Park outside the city and take a bus, shuttle or train into town. 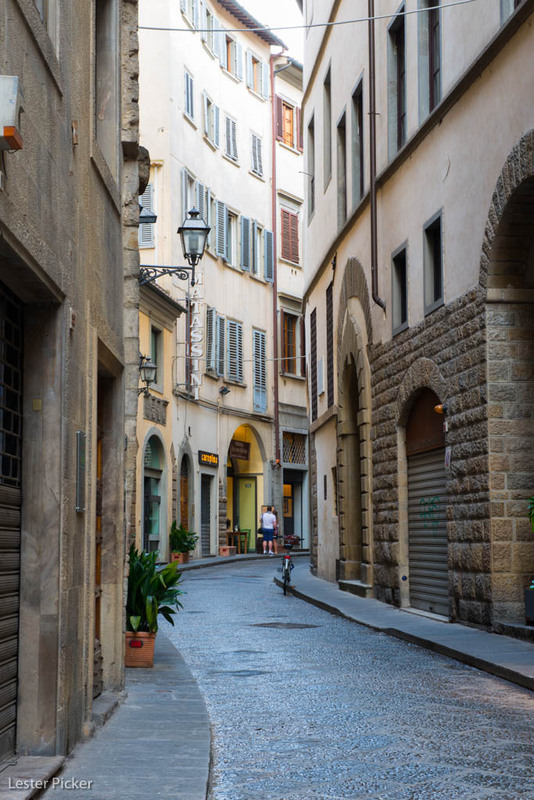 In many cities, like Florence (called Firenze by Italians), you can get a huge fine for driving into the city center. Streets are incredibly narrow, having been built for foot traffic or horse-drawn wagons (we’re talking Roman wagons!) 2,000 years ago. Cars are parked and double-parked all over the streets making negotiating city traffic a torment. I was only able to do it because I grew up in Brooklyn (ha, ha!). Cycles. You have to get used to motorcycles and bicycles in Italy. I mean a lot of them, as in a whole big bunch, bigger than a bizzilion. The trouble is that motorcycles obey no rules of the road that my wife and I could discern. They will pass you on the right or left. They will weave in and out in city traffic. They park in the road, on sidewalks, behind your rear bumper, even in apartment hallways. No Lanes. Forget the middle lane that separates drivers going in opposite directions. Italian drivers see that as a rubber line that can be bent to one’s will when passing. It’s up to you to stay alert for the frequent drivers that pass on curves as you are coming from the opposite direction. Signage. Italy has far fewer road signs than do we in North America. Street signs in cities are far and few between. You will be told to turn on a certain street, but there is not a sign to be seen. We navigated pretty well by using a GPS (buy the Italian map upgrade before you go) and a Michelin map, but we also got lost periodically. However, we always view those times as an adventure. Some of my favorite images have come from those “alternate” routes. The truth is that some people will love driving in Italy (that would be me) and some will be traumatized by it (that would be my wife, but part of that is possibly- remote as it is- my inattentive driving) . One couple my wife knows rented a car and then simply left it right in the middle of the first city they traveled through. While public transportation is widely available, we photographers want the flexibility to stop whenever the light and scenery are right. All I’m saying is be forewarned. Teasing aside, I found Italian drivers to be mostly considerate, although their pattern of driving is different from ours. Have you have had a “driving in Italy” experience or a driving tip? Share it here, but please keep the language clean.